Localhometips.com is privately owned and is neither operated by, nor affiliated with, any government agency. When is it time to downsize? KonMari, or the KonMari method, is the name given to a specific approach to personal organization and lifestyle maintenance developed by tidying expert Mari Kondo. This method has been popularized through Kondo’s bestselling book, the Life-Changing Magic of Tidying Up, as well as other media publications of her work. While unusual and possibly extreme, many have found the system set out by Kondo has helped to change their homes and lives. The method involves several guiding principles, many of which may seem to be in direct contrast to commonly suggested methods of organization and decluttering. As well as offering a way to minimize the number of additional items you own and increase the tidiness of your space, Kondo’s method takes a holistic approach to organization. By focusing on your happiness in the context of your living space and possessions, some may find the KonMari method could change their lives for the better. Tidying for the sake of tidying goes against one of the major principles of KonMari. An important part of the method is to understand your reasons for wanting to declutter your space. Additionally, Kondo suggests taking time to think of the activities and targets you dream of achieving, making them a part of your overall efforts. This way, you have set a goal beyond simply tidying up and have something to aim for throughout the organizational process. Do you have a personal or work-related goal you want to achieve? Can you visualize yourself in the life you want? Are you ready to change the way you look at your possessions? One of Kondo’s well-known phrases refers to the way you look at the possessions in your home. You are asked to determine whether any possession you own “sparks joy” or not. This process is part of the decluttering process, a major aspect of KonMari. You are required to look at each item you own to address each possession on its individual merits and determine how it makes you feel while doing so. This means that items you have been keeping for no real reason, or for the fear you may someday need them and be caught out, can be discarded. At the same time, stay focused on the items you want to keep and allow these possessions to bring you joy as you make more space for them. An extension of this aspect of KonMari is in the way in which you are supposed treat your possessions. KonMari requires you to treat the items you own with gratitude and respect, thanking them for the part they play in your life. The intention here is to no longer take your items for granted which helps you become more mindful of what you bring into your home. KonMari is noticeably different to many organizational methods, as it does not focus on storage. Storing items, while clearing the space in a room and allowing a tidier appearance, still means you might own things you do not need. Instead of adding storage to your space, Kondo suggests you discard as many items as possible. At the same time, KonMari requires you to pay attention to the way you store things, so taking care and consideration over the items in your home is essential to completing the process correctly. Kondo’s method for folding clothes so you can store them for easy access and viewing is particularly well-known. A guiding principle in KonMari is the idea that the way your store your items allows you to see them more clearly, rather than hiding them away. Everything has its own designated space as well as its own purpose. KonMari asks its participants to move through their belongings by category rather than by space. Kondo has a specific order to the categories you need to address. For example, the first category is clothes, which can be further divided into subcategories such as outerwear or skirts. Put your entire focus into the category you are currently working on and then move through your home until this category has been dealt with entirely. Using categories is suggested for storage, as Kondo lays out the idea of keeping similar items together for added organization and simplicity in your home. Many people, having tried to declutter their homes, find they must repeat the process all too soon. You may feel as though you managed to clear all unnecessary items during your first effort, paring down to the absolute minimum. A few weeks or months later, you may be able to fill another load of bags to donate or throw away. KonMari requires you to take your time over the decisions you make, with the idea that you only need to make them once. In following the KonMari method, you are ideally able to reset your attitude toward your belongings, preventing the cycle of clutter from repeating itself. For this reason, following the KonMari method is often a long-term project though it is still viewed as a single effort rather than as a repetitive task. Once you have started, you must continue until the job is done, knowing that the result is ultimately going to last well into the future. Despite its rising popularity, many may find the KonMari method is difficult to adapt to their own lives. Some may find that ridding themselves of additional stored items is not practical. This is an issue if you have a lower income and are unsure of whether you are going to be able to replace the items in the future if you need to. 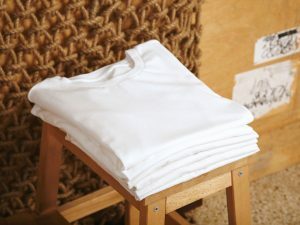 Others might find the principles and attitudes required to implement the ideas in the KonMari method are difficult to adopt. Part of the issue relates to how the KonMari method is intended to be used precisely, with no deviations or changes. For some, other organizational methods may be preferred. You may find some of the ideas behind KonMari to be helpful, or even inspiring, as you seek to declutter and tidy your space. Copyright © 2019 by Localhometips.com.